All new models are members of the Ultraforce lineup. 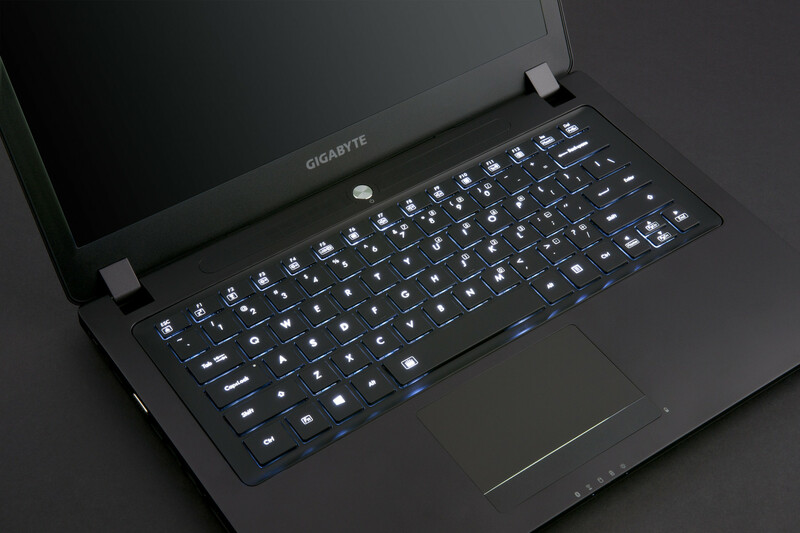 At Computex 2015, Gigabyte showcased its new gaming P-series laptops, equipped with 5th generation (Broadwell) Intel Core i7 processors and Nvidia GeForce GTX 900M-series GPU’s. The Gigabyte P37X, P37W and P37K models feature 17.3-inch displays and GeForce GTX 980M graphics cards with 8 GB of GDDR5 memory. They are available with up to 5 TB of storage space (two 512 GB, mSATA SSD’s and two 2 TB hard drives). A mini-DisplayPort allows connection to an external display up with resolutions up to 4K, while built-in Dolby Digital Plus and Blu-ray drive cater for rich multimedia experience. The P37W with GTX 970M and P37K with GTX 965M are also available. The new P35X / P35W / P35K models are 15.6-inch notebooks with display resolution of 2880 x 1620 pixels. Their specifications is basically the same as the P37 models and include: Broadwell Core i7 CPU’s, GTX 980M graphics with 8 GB VRAM, up to 5 GB of storage space and the same multimedia and connectivity options. Similarly to the 17-inchers, the P35W with GTX 970M and P35K with GTX 965M are also available. 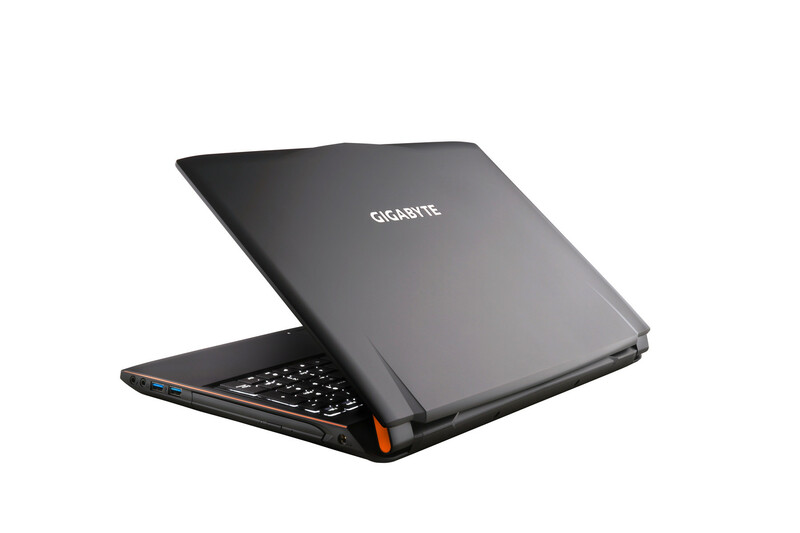 Gigabyte claims that P37X / P37W and P37K are the thinnes and lightest 17-inch laptops with GTX 980M. Same applies to 15-inch models in their respective class. No exact data has been given though, so we are not able confirm the validity of those claims. The 14-inch models, P34W and P34K, come with Broadwell CPU’s, GeForce GTX 970M and up to 2.5 TB of storage (one 512 GB SSD and one 2 TB HDD). The P34K is also available with GeForce GTX 965M graphics. Other new Gigabyte models are the P55W / P55K. The former is outfitted with GeForce GTX 970M, while the latter comes with GTX 965M. Both offer up to 2.5 TB storage (configured the same way as in the aforementioned 14-inch models. They also come with Dolby Digital Plus Home Theatre support. The most affordable of the new models is the Gigabyte P17F, equipped with 4th gen Core i7 processor, 17-inch, FullHD matte screen and GTX 950M graphics and up to 2.5 TB of storage. A smaller but similarly equipped, 15-inch P15F model is also available. 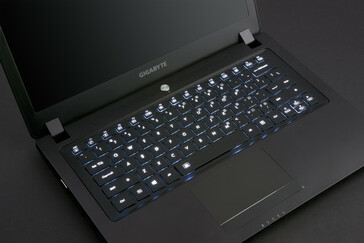 June 2, Taipei – GIGABYTE launched new P-series laptops with full array of features and class-leading performance. Thanks to the 5th generation Intel® Core™ i7 processors in 14nm Broadwell architecture, GIGABYTE laptops are packed with more horsepower yet more efficient in consumption than ever. NVIDIA® GeForce® GTX 900M series graphics built on Maxwell architecture brings more visual breakthroughs, such as DSR, MFAA and VXGI technology, previously available to 3D animation professionals only. 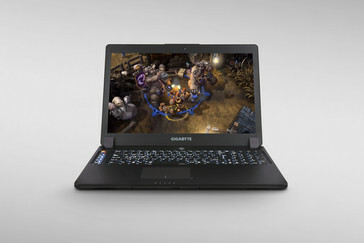 GIAGBYTE gaming laptop exclusive Doubled VRAM* allows users to enable more effects and textures in gameplay without impacts on system performance. The bundled XSplit Gamecaster Premium membership* grants users the freedom to record and stream their gameplay up to Twitch anytime, anywhere without resorting extra solutions. 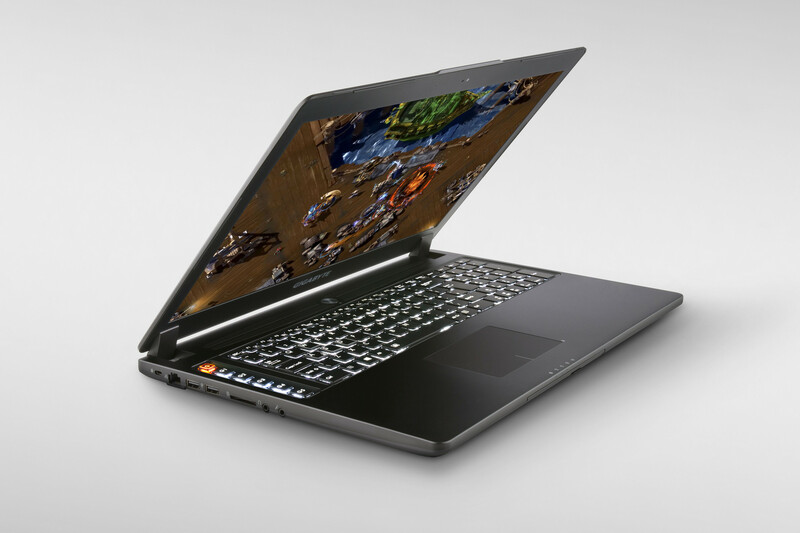 Powered by GTX 980M, the 17.3” flagship P37X delivers P10000+ in 3DMark 11. The comprehensive product line covers dimensions from 17” to 14”. Customers can opt among the slim yet powerful new ULTRAFORCE line comprising P37, P35 and P34, the aggressive yet stylish P55 and value all-rounders P17F and P15F. *Doubled VRAM is available on P37 and P35. Based on a Broadwell Core-i7 processor and the latest NVIDIA® GTX 980M GeForce® GDDR5 8GB* in Maxwell architecture, P37X v4 scores a phenomenal P10000+ in 3DMark 11. Macro recording and editing across keyboard and mouse, formerly impossible on laptops, inputs is supported in one neat Macro Hub interface. Users will benefits from a solid edge in running most games in high settings. The hot-swappable storage design is configured to two rapid 512 GB mSATA SSDs and a dual of 2TB hard drives, blending speed and capacity in an incredibly thin and lightweight chassis. A Mini DisplayPort readies output to an external display up to 4K while built-in Dolby® Digital Plus™ and Blu-ray drive turns the mobile platform into a personal theater. P37X offers gamers and graphic professionals desirable processing horsepower comparable to desktop systems when portability is a priority. *P37W with GTX 970M and P37K with GTX 965M are also available. The powerful P35X v4 with NVIDIA® GeForce® GTX 980M GDDR5 8GB VRAM* surges to P10000 in 3DMark11 and 5th-gen Intel® Core™ i7 Processor upgrades battery life and power efficiency. The hot-swappable ODD/HDD Bay adds flexibility for ultimate convenience and numerous possibilities for user customization. Unique massive quad-storage supports four drives for a gigantic capacity of a total 5TB: two 512MB mSATA SSDs and two 2TB HDDs. GIGABYTE Exclusive RAID Storm makes for speedy transmission up to 1500MB/ s* while the massive storage houses larger files ready for off-line access or system backup. WQHD+ IPS display grants users unprecedented image details in resolution as high as 2880x1620; superb color accuracy and vivid images makes viewing from any direction is crystal clear. P35X marks immersive gameplay and captivating multimedia entertainment on the move. *P35W with GTX 970M and P35K with GTX 965M are also available. P34W v4 gets its primary motivation from a quad-core Intel Core i7 processor with an NVIDIA® GeForce® GTX 970M, a more punchy yet efficient combination than ever while remaining a slender size as seen on any Ultrabook. Benefit from the Maxwell architecture, GTX 970M brings a phenomenal score, P9000+ in 3DMark 11, creating a solid edge in running most games in high settings, offering gamers and graphic professionals desirable processing resources comparable to desktop systems when portability is a priority. Multiple visual innovations including DSR, MFAA & VXGI renders more realistic and stunning images for unprecedented gaming virtual reality. Storage is configured to one rapid 512 GB mSATA SSD and a 2TB hard drive, a blend of speed and capacity in an incredibly thin and lightweight chassis. *P34K with GTX 965M is also avilable. Brand new 15.6” P55W features a sporty design and ravishing performance—sizzling P9000 in 3DMark 11. The NVIDIA® GTX 970M* discrete graphics coupled with 1080p IPS Display grants brilliant vision, breathtaking details and ultra-smooth motion at ultra-high resolutions, hardly achievable on mid-range offerings. The dual storage incorporates one rapid mSATA SSD up to 512GB and a massive HDD up to 2TB for extra storage. The blistering responsiveness and storage convenience is perfect for either heading for any LAN gathering with a huge collection of games or backing up data and system without cloud access. The 2.2mm key travel ensures crisp and responsive typing while Dolby® Digital Plus™ Home Theater optimizes sound clarity and effects for a high-fidelity audio, creating the most realistic yet thrilling experience when gaming. * P55K with GTX 965M is also available. P17F v3 with a NVIDIA® GeForce® GTX 950M boasts a decent score—P4822 in 3DMark11. The unique dual storage houses one 512GB mSATA SSD and a HDD up to 2TB, delivering rapid speed and massive storage at one shot. The Full HD matte display diffuses light, eliminates reflections to complete the most realistic gaming experience. Users will be impressed by the vivid color and high contrast level thanks to its 72% NTSC Color Gamut. The enhanced Sound Blaster® Cinema 2 audio optimization produces crystal-clear sound for enveloping listening experience. The enhanced performance and all-around practicality makes P17F a worthwhile investment for multiple scenarios. P15F v3 with NVIDIA® GeForce® GTX 950M discrete graphics surges to P4822 in 3DMark11. The 4th-gen Intel® Core™ i7 Processor improves power efficiency, offering impressive battery life for higher productivity. The unique dual storage incorporates one 512GB mSATA SSD and a HDD up to 2TB, delivers rapid speed and massive storage at one shot. The additional Simple-swap DVD-ROM/ HDD Bay brings an optional third storage, providing more flexibilities as well as productivity for work and fun. The P15F proves to be a worthwhile investment to maximize performance and portability. The enhanced performance makes for more engaging gaming experiences and practicality for multiple scenarios while minimizing the time cost.